Contact with gar fires me up in a way no other group of fish does, and I know I’m not alone in appreciating these fish. The reaction they ignite in me is located somewhere deeper than the feelings touched off by more recently arrived fishes like trout, bass, or even suckers. It’s been said before by others who have found themselves addicted to these fish: they’re dinosaurs, dragons, pure predators, living fossils. For me it is this: when I interact with a gar—hold it in my hands, feel its armor and muscle flexing and really look at it—I’m in contact with the Earth not as my familiar home, but as it truly is, stripped of maps, knowledge, and all the other baggage we pile up to create our illusion of understanding and control. 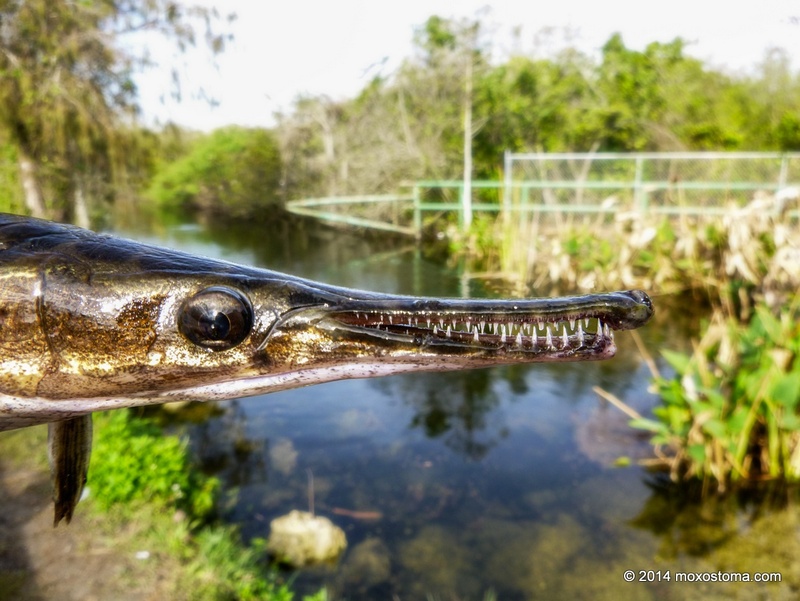 A gar in hand is time travel, the Earth before names and ideas. I know I’m probably reading too much into this, but something is definitely different about the gar experience. Pseudo-poetic BS aside, gar are bad-asses. Muscle, teeth, armor, hunger, tenacity, and confidence add up to a fish that’s a hell of a lot of fun to catch. Small or large, they fight like crazy and no matter how careful you are, they can—and will—cut you. A truly spectacular, beautiful animal. I have now caught all 5 gar species in the U.S. (and though I’ve caught all 4 that live in Illinois, I have yet to realize my goal of catching all 4 of them in a single day). Only the tropical gar (Atractosteus tropicus) and the Cuban gar (Atractostes tristoechus) remain, and I intend to meet both of them eventually. 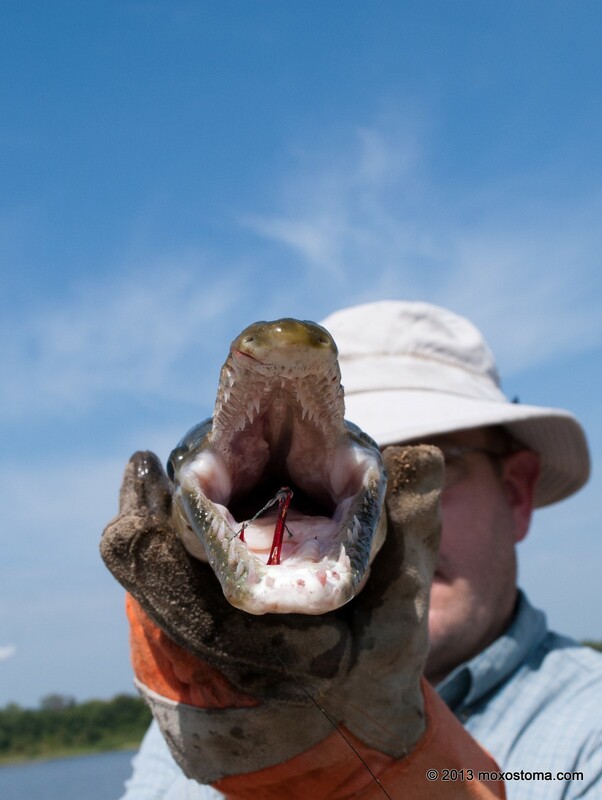 Until then, there is no chance I’ll lose interest in continuing to fish for the “local” gars at every opportunity. 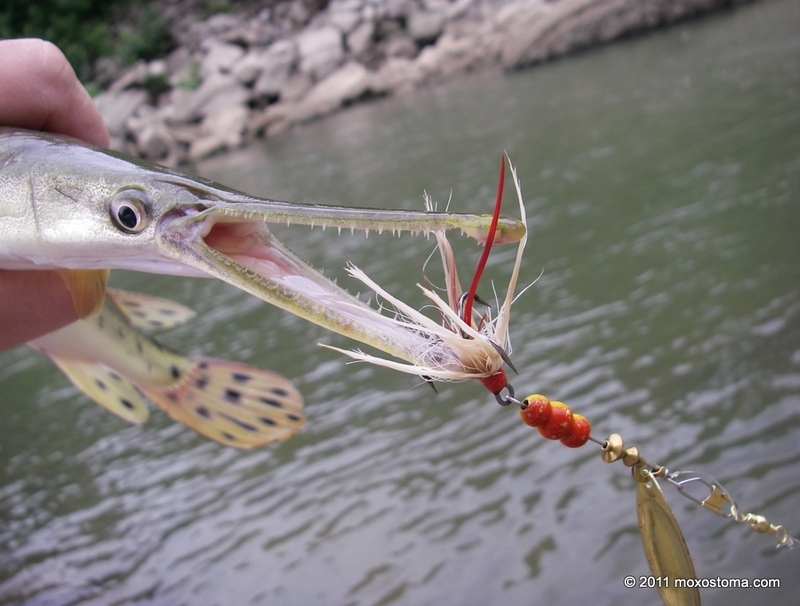 Remember: compared to gar, all other fish are just bait. 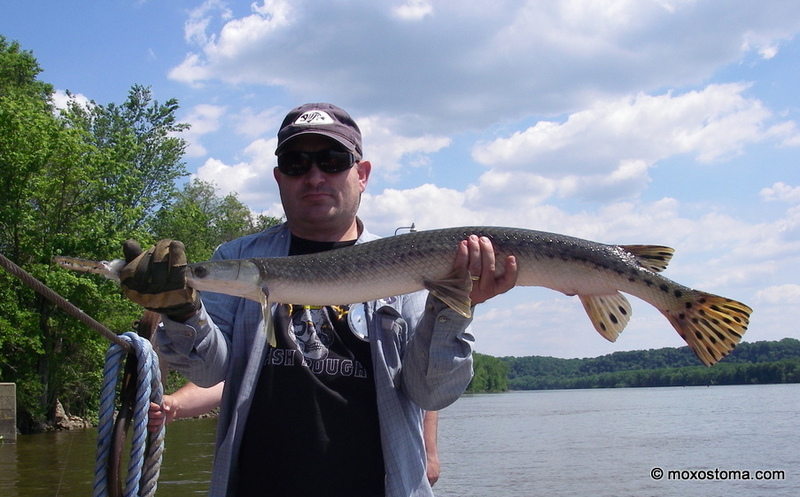 June 7, 2012, Mississippi River, WI: My lifer longnose gar (Lepisosteus osseus), 47 inches long and about 17 pounds, caught on a hookless rope lure. 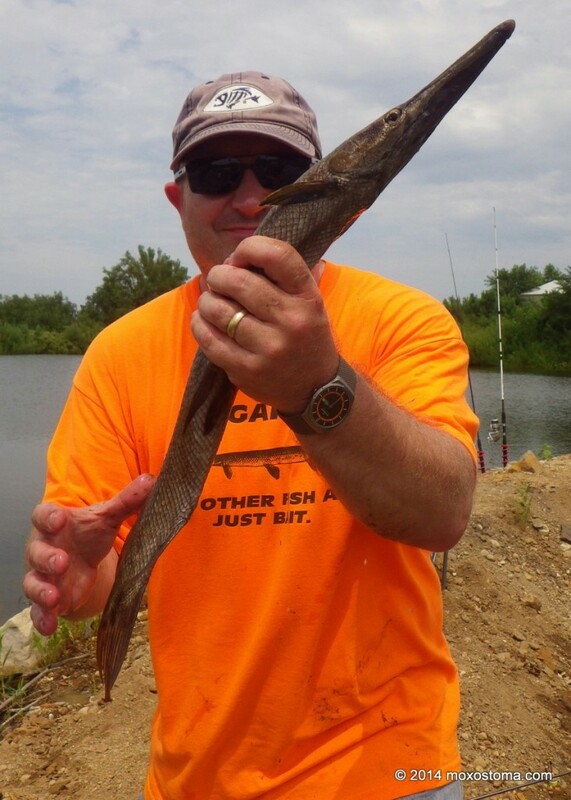 July 28, 2011, LaSalle County, IL: One of many shortnose gar (Lepisosteus platostomus) I caught the day I got my first one (8 landed in first 12 casts). 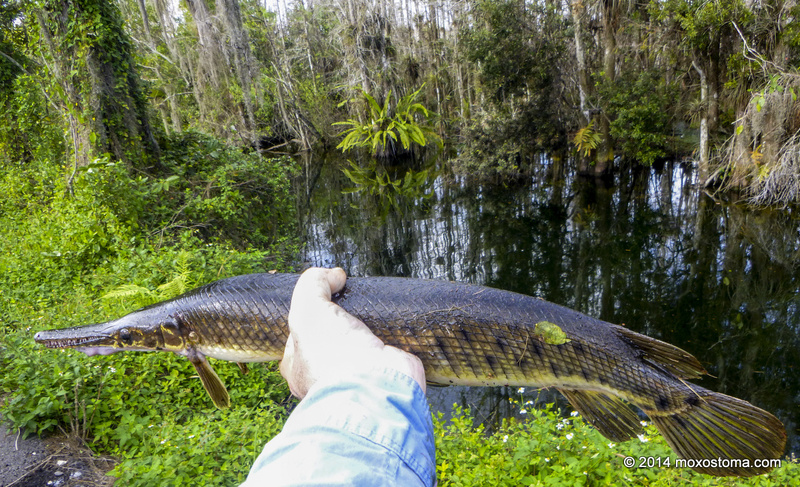 Tagged alligator gar, atractosteus, fishing, Florida gar, gar, lepisosteus, longnose gar, photos, respect, roughfish, shortnose gar, spotted gar. Very nice!! Gators are on my to do list this summer!! Ive got long nose, short nose, and florida down. Just need the gator and the spotted.